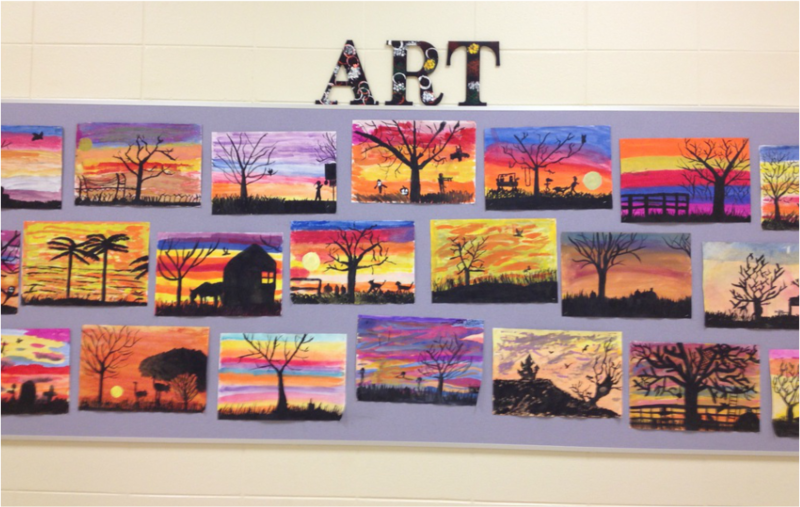 All students at HMS will be creating a portfolio of small artwork and assignments that will be sent home at the end of the year. 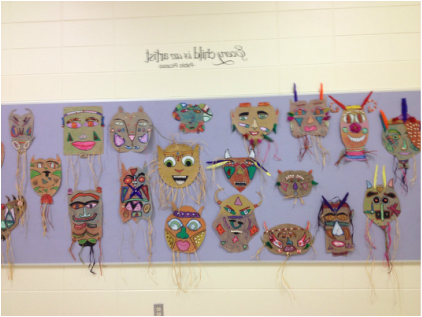 Large artwork will be sent home throughout the year. 5th & 6th grade students created a mosaic with recycled plastic bottle caps. Paul Signac's, Portrait of Felix Feneon, was their inspiration for their art. First, they painted a 4' x 8' sheet of plywood, then glued on the bottle caps. The finished mosaic done in plastic bottle caps, crayons, & buttons. 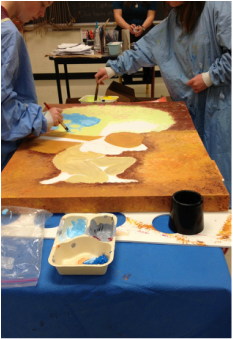 5th & 6th grade students paint their version of Diego Rivera's, "The Flower Vendor". 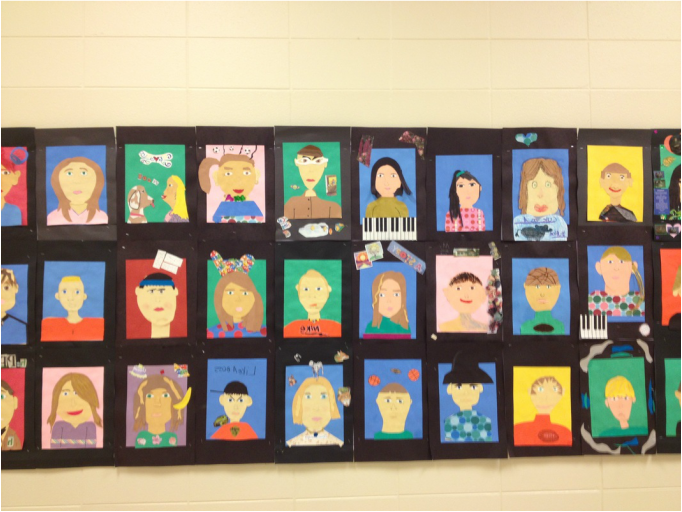 hanging in the halls of HMS. 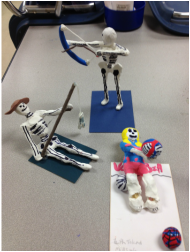 Creating skeleton sculptures for the "Day of the Dead". 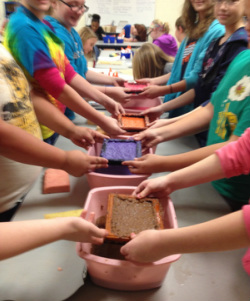 6th grade art class making paper.